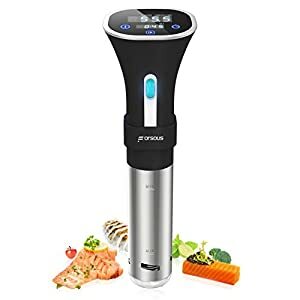 Tags: circulator, cooker machine, cooker system, gourmet cooker, gourmia, Gourmia WiFi Sous Vide Precision Cooker, precision cooker, Precision Immersion Circulator, sous vide, sous vide cooker machine, sous vide cooking, sous vide machine, sous vide precision cooker, thermal cooking. 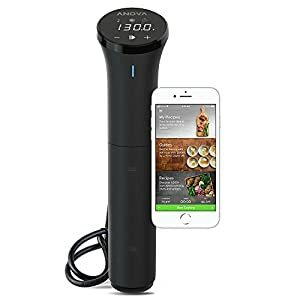 BRING THE ART OF PRECISION COOKING TO A WHOLE NEW LEVEL WITH GOURMIA’S POWERFUL 1200W SOUS VIDE PRECISION IMMERSION POD COOKER WITH APP! 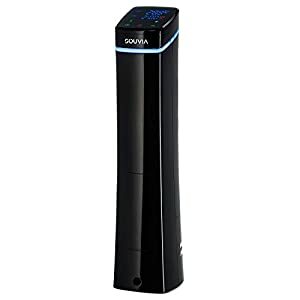 Gourmia WiFi Sous Vide Precision Cooker brings the art of sous vide cooking to your kitchen for tender, moist and delicious results that your tastebuds will thank you for. 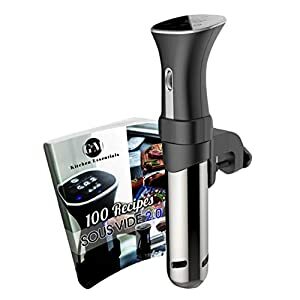 Sous vide is a classic cooking method that is surprisingly simple to do with the right tools for amazing results. 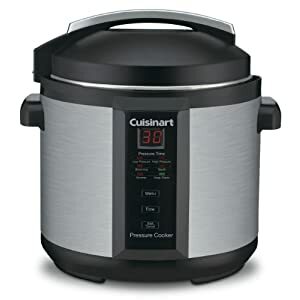 A low temperature water bath slow cooks food so it is fully cooked through and through while retaining all of its delicious flavor and juices. With cooker Immersion Pod you can enjoy mouth watering cuts of meat, crisp and nutrient rich vegetables and delicious, warmed fruit. The water circulator ensures that water is moving around the food filled bags constantly to ensure uniform cooking. The pod easily clips to your cookware to keep it in the upright and vertical position. It is heat safe to prevent melting and protect your cookware. 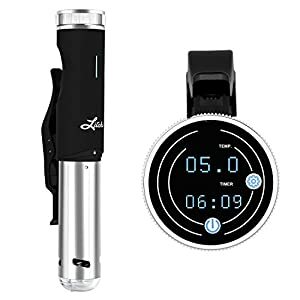 We included a handy cooking guide in your user manual with estimated cooking times and temperatures for different types of foods to get you started in no time. 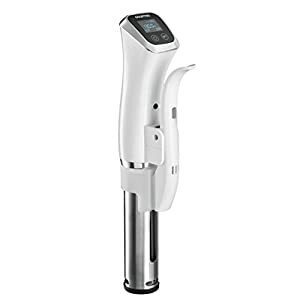 Gourmia WiFi Sous Vide Precision Cooker’s mission is to make everyday cooking easy, healthy and delicious. Our products deliver a higher standard of innovation, performance, and value. 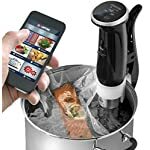 Our founders are experts in the world of small appliances and are passionate about providing our customers with dependable, easy to use tools that will make life in the kitchen fun and easy. 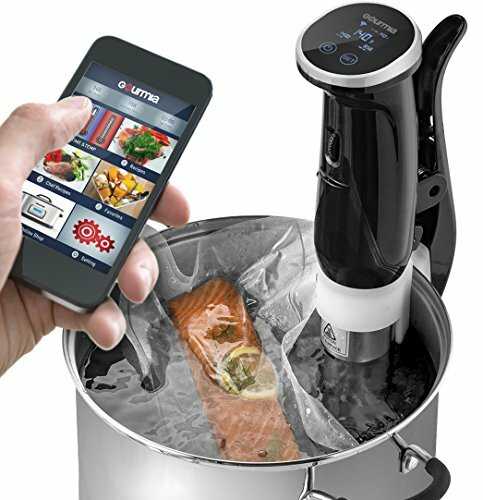 WiFi & App: This innovative Cooker Immersion Pod sous vide cooker can be remotely controlled via wifi. Download the app at Google Play or iTunes for a taste of the latest technology. POWERFUL & ACCURATE: Precision cooking to perfection. 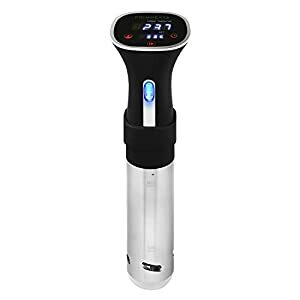 This immersion sous vide pod is accurate to .1 degree, and boasts an impressive 1200 watts of power. 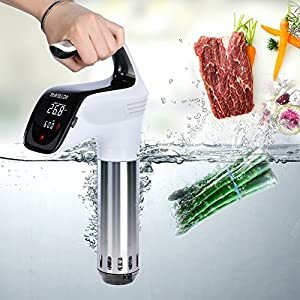 UNIFORMLY COOKS FOOD: The water circulator ensures that cooking maintains an even water temperature so food cooks through uniformly for perfection in every bite. LCD CONTROL DISPLAY: Easily vary the temperatures using the variable digital LCD time & temperature controls. Immersion pod simply clips onto side of pot for operation. COOKBOOK & MORE: Comes with a guide and cookbook to get you started. App includes 100 bonus recipes, so put on your chef’s hat and get to work! UL listed for safety. Save 5% with this coupon. Enter code BGBLC8DA at checkout.